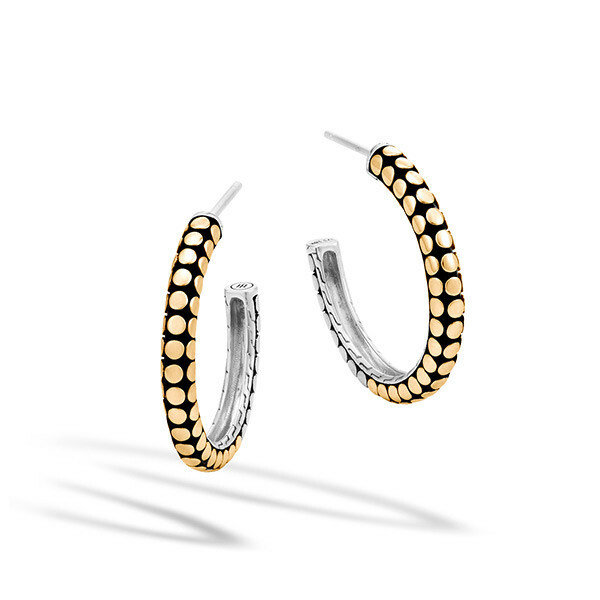 Glam up your fabulous style with a pair of John Hardy earrings from the Dot collection. Each hoop in this set is crafted in darkened sterling silver to pop the bevy of bodacious dots in 18kt yellow gold that embellish each piece. Post backings keep this pair comfortably in place. These John Hardy earrings are a great accent day or night.